Ubisoft is expanding its open world game with digital offerings. Ubisoft has launched its open world game, Watch Dogs, on Xbox One, PlayStation 4, Xbox 360, PlayStation 4 and PC. The game tells the story of Aiden Pearce, a brilliant hacker whose criminal past led to a violent family tragedy. Now on the hunt for those who hurt his family, players will be able to monitor and hack their enemies by manipulating everything connected to the city’s Central Operating System (ctOS). Watch Dogs lets the player use Chicago as their ultimate weapon and exact their own style of revenge. The Watch Dogs ctOS mobile companion app is also available for download for free on iPhone, iPad, iPod touch and Android devices. The ctOS mobile companion app is a groundbreaking, real-time companion game that will take the player’s experience beyond the console, allowing them to connect and compete with friends, even when away from their home console. The ctOS mobile companion app delivers revolutionary dual-screen gameplay that enables gamers to play from anywhere, at any time. The all-new single-player story featuring T-Bone, a brilliant but eccentric hacker who lives by his own rules. A new Digital Trip game mode, Conspiracy!, where players must find and eliminate all of the cyborgs. Exclusive Untouchables Pack with an M1 SMG weapon and a 1920s mobster outfit. New missions, weapons, outfits and more. For PlayStation owners, Watch Dogs offers additional exclusive content featuring four extra missions representing one extra hour of exclusive gameplay. 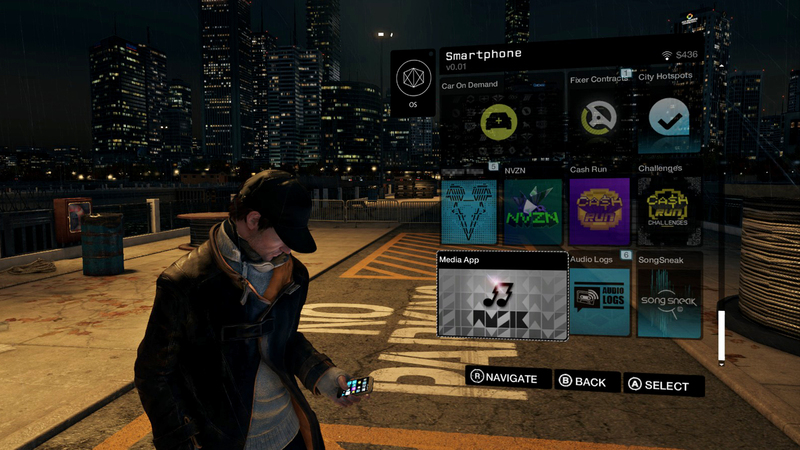 A unique White Hat Hacker outfit as well as bonus tech points providing new in-depth knowledge about an important faction in the Watch Dogs universe. This content will be unlockable at launch via code. For fans who want to explore their own digital footprint, please visit digitalshadow.com. The Watch Dogs Digital Shadow website is an eye-opening experience that allows Facebook users to explore their digital life through the lens of a hacker, and get a glimpse of ways in which they could potentially be targeted based on real user data that is available on their Facebook profile and on public sources on the web. With the number of Digital Shadows created to date, Watch Dogs fans are aware of the data that they make public, that Facebook friends could be seen as liabilities, of the various geolocation data that can be surfaced and a host of additional hacker-relevant information. Fans can also further explore the world of Watch Dogs with the ebook, Watch Dogs //n/Dark Clouds. Written by John Shirley, author of numerous novels, short stories, screenplays and teleplays, the Watch Dogs //n/Dark Clouds storyline picks up where the video game leaves off. The ebook is a first for Ubisoft, conceived in house and released exclusively via digital channels.